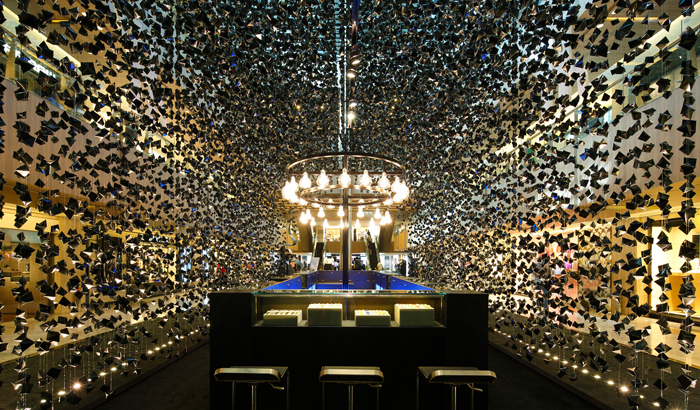 Can a house be magically solid yet porous? 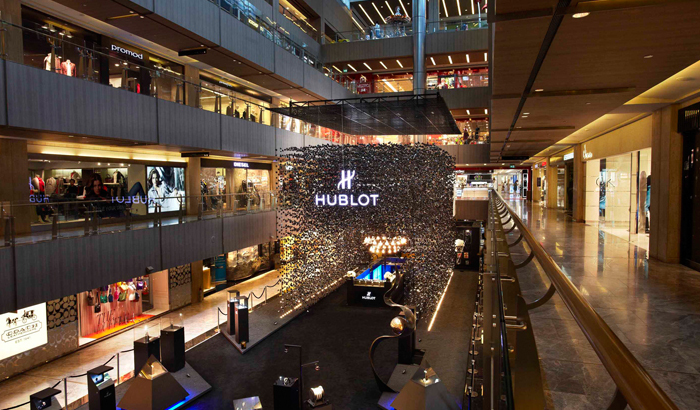 Structurally monumental yet light? 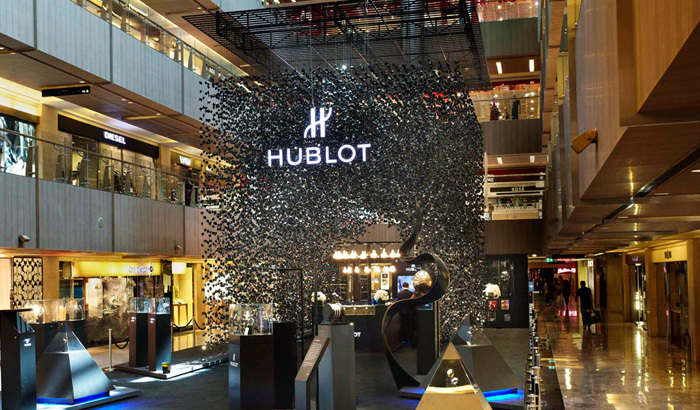 Taking advantage of the majestic void space in Paragon Shopping Mall Singapore, the installation, which spans across two floors, sweeps impressively across the area, inviting a sense of excitement and wonder. 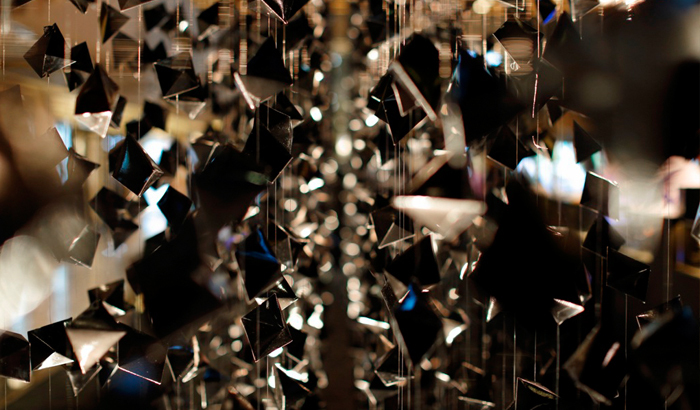 Tens of thousands of “black gems” rain down from above, resonating with the momentary quality of a pop-up store – an ephemeral, fleeting point in time, caught in a still image. 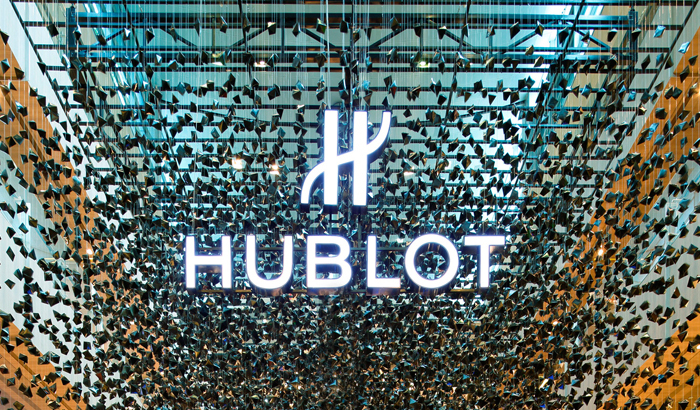 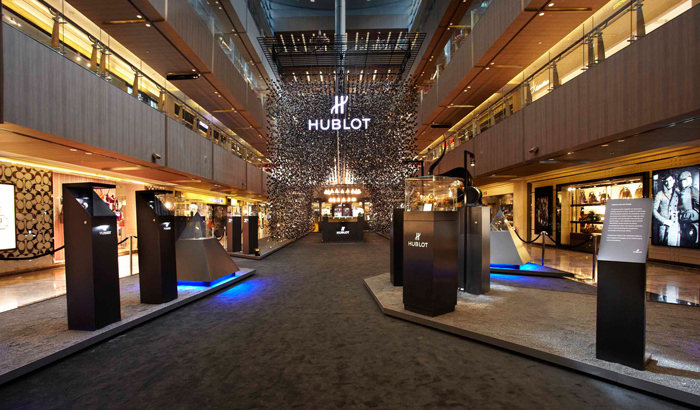 Illustrating the legacy of the Hublot brand and its innovations, the installation seeks to recreate its notable paradoxical philosophy with an illusory space; magically solid yet porous and structurally monumental yet light.